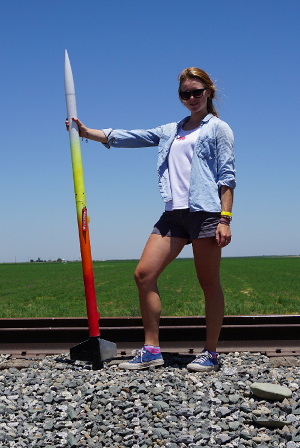 On July 16th, 4 Rockets team members drove to the Tripoli Central California launch site for SSI's 7th rocket launch of the year. After a long day in the 100° weather, we came back with 3 completely successful flights, a new L2 certification, and one exciting semi-successful flight. Sadly, one of the planned flights of the day was scrubbed due to an altimeter demonstraiting odd behavour just before it was planned to launch. That flight was going to attempt to capture 360° video through a clear nosecone from a 4k resolution camera, generously donated to us by 360 Fly. The camera is awesome, and we can't wait to fly it next month!